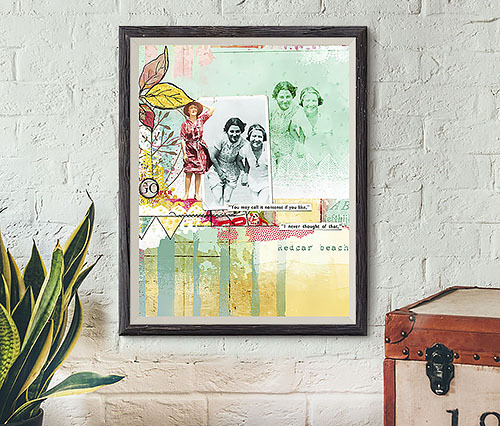 Paint, blend and collage all without making a mess and for the sheer pleasure of creating. 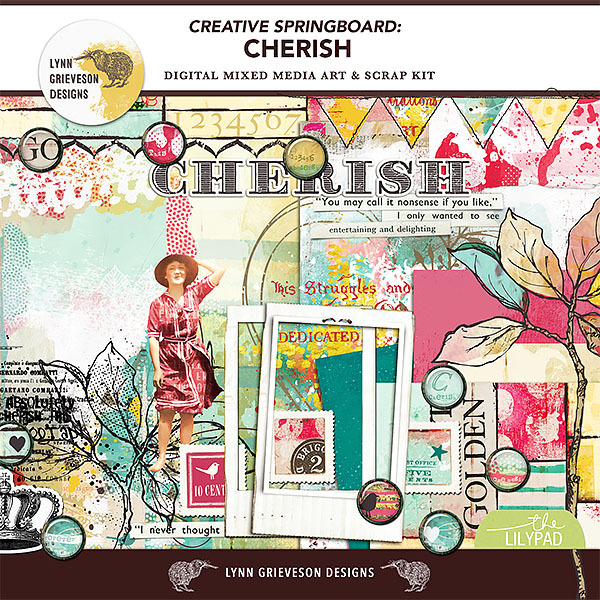 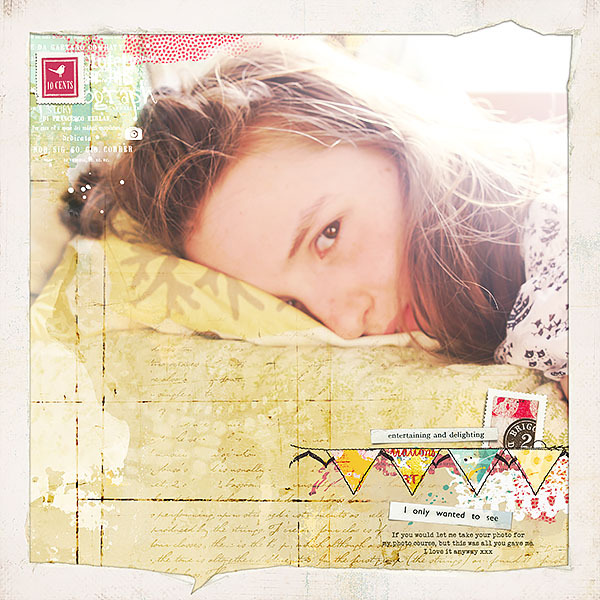 The first "creative springboard" mixed media page kit is in store at The Lilypad. 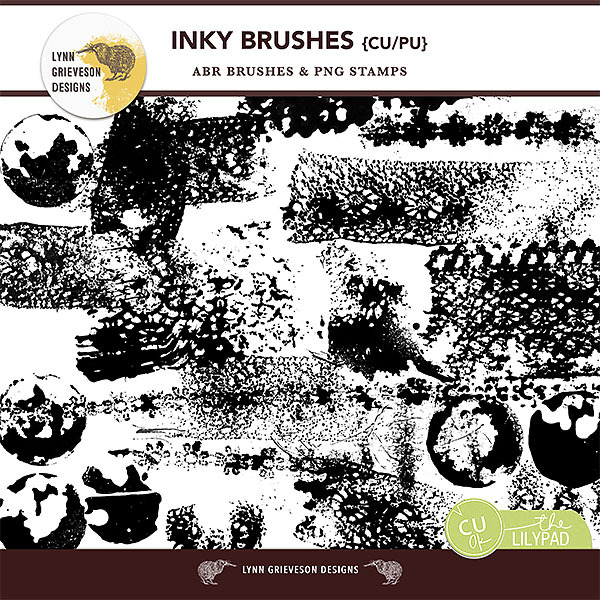 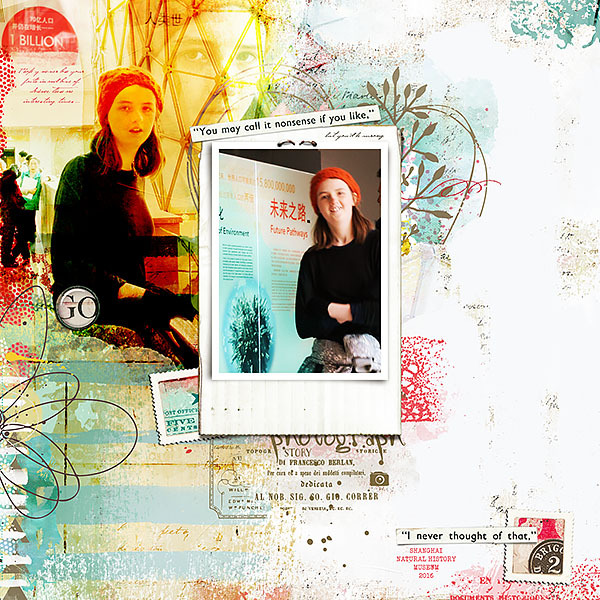 Use it to create your own art journaling page or mixed media artwork, or a more traditional digital scrapbook page- no rules! 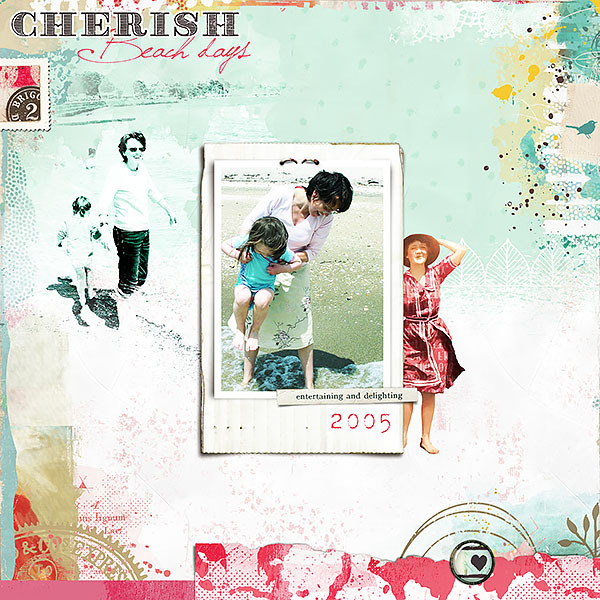 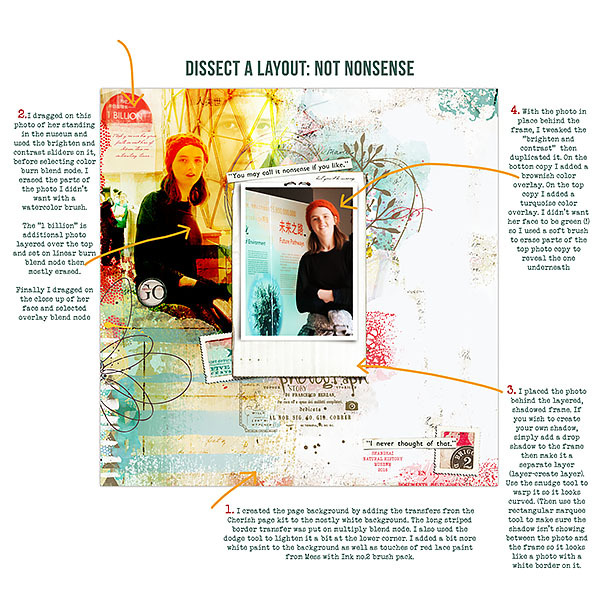 It can be as simple as just dragging, dropping and arranging the mixed media elements provided and your photos, or you can go to town with blending and layering.